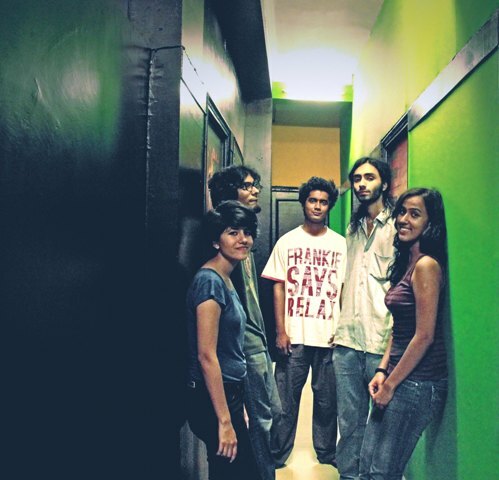 Formed in 2011 while its members where studying at Sri Venkateswara College in Delhi, Tankbund comprises three keyboardists and vocalists â€“ De [from alt/psychedelic rock band MindFlew and indie rock band Caesars of the Green], Subhadra Kamath [from alternative rock band Fire Exit], bassist Rohit Bhattacharya [from prog metal band Guillotine], drummer Ujjwal Kumar [from Caesars of the Green] and vocalist/keyboardist Radha Priya. They made made their stage debut in April this year. â€œThatâ€™s when we got sure of how to pull it off live. Itâ€™s a big setup, samples and five or six keyboards, so weâ€™re still getting used to it,â€ says De, who plans to launch Tankbund on July 11th at Imperfecto in Hauz Khas Village, playing songs off their 15-track album. Tankbund was released on the bandâ€™s Bandcamp page for limited download, which De says ran out within two days. â€œWe didnâ€™t anticipate downloads to go that fast. Weâ€™ll be putting up the album in full on YouTube soon, and if people want to do the piracy thing, itâ€™s cool,â€ says De, who adds the album will be released on CD â€œeventually,â€ after the songs go through a second round of mastering. Listen to Tankbundâ€™s self-titled album here. Tankbund plays at Imperfecto, Delhi on July 11th, 2013. For more details, follow Tankbund on their Facebook page.